"Beautiful location up in the mountains." Have a question for Nikko Pension Logette Sanbois? "The onsen was good for a relaxing soak in the evenings." "The shrines and surrounding area of Nikko are spectacular and worth a few days' visit." "The owner prepared us a fantastic dinner one night (let them..."
Well-positioned in Nikko, Nikko Pension Logette Sanbois is the ideal point of departure for your excursions in Tochigi. From here, guests can enjoy easy access to all that the lively city has to offer. For those of you who want to venture out, Fujiya, Kousyuuya, Utakataã€€Kimono Rental & Photo Studio are just some of the attractions available to visitors. 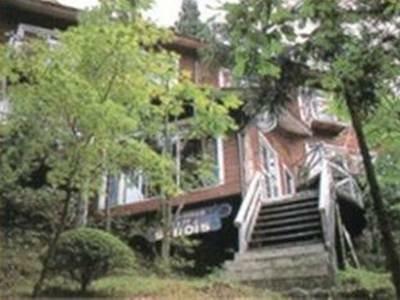 Nikko Pension Logette Sanbois offers impeccable service and all the essential amenities to invigorate travelers. Top features of the hotel include Wi-Fi in public areas, car park, restaurant, coffee shop, shops. Step into one of 8 inviting rooms and escape the stresses of the day with a wide range of amenities such as television LCD/plasma screen, non smoking rooms, air conditioning, heating, desk which can be found in some rooms. The hotel offers many unique recreational opportunities such as hot spring bath, golf course (within 3 km), spa, garden. 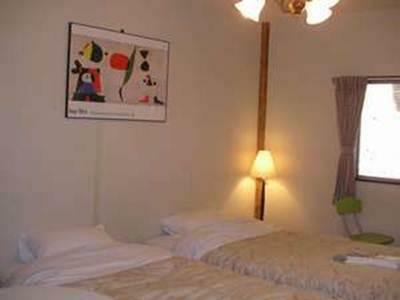 Nikko Pension Logette Sanbois is your one-stop destination for quality hotel accommodations in Tochigi. "The private room is furnished in traditional style with scre..."
Dinner costs JPY 2,900 per person per day. This is a very true experience! Lovely host, beautiful surroundings. It is not a flash hotel! This is an old property with its own character. Onsen is great. We stayed 2 night and really enjoyed it. Very nice stay in a homely inn built into a forested hillside. The private room is furnished in traditional style with screened windows opening to the sound of a river at the bottom of the hill ... it is an idyllic spot, ten minutes or so to walk to/from the town. The owner prepared us a fantastic dinner one night (let them know the day before if you want to eat in). The onsen was good for a relaxing soak in the evenings. The shrines and surrounding area of Nikko are spectacular and worth a few days' visit. Al llegar al hotel desconcierto por la ubicación , en un bosque, pero muy diferente, fue una estancia increible porque no era un ryokan pero el trato igual , desayuno excelente.lo recomiendo plenamente y asu propietaria. Accueil chaleureux. Propre. Bien situé. Maison située dans les bois. A 15 mn a pied de la gare. Très bon accueil, le onsen est appréciable . Très propre.